Louis was born in London and grew up in New York City. Throughout his childhood and youth, he was strongly drawn to visual culture—savoring pictures and photographs in magazines and books, creating his own drawings and designs, frequenting art and photography exhibitions at museums and galleries, and taking studio art courses as well as art history courses in high school and college. Concentrating on English and European history and literature, he earned a BA at CCNY and an MA at The University of Toronto. After teaching briefly in New York City, he moved to southern California to begin a doctoral program; almost half a century later, he is still there. 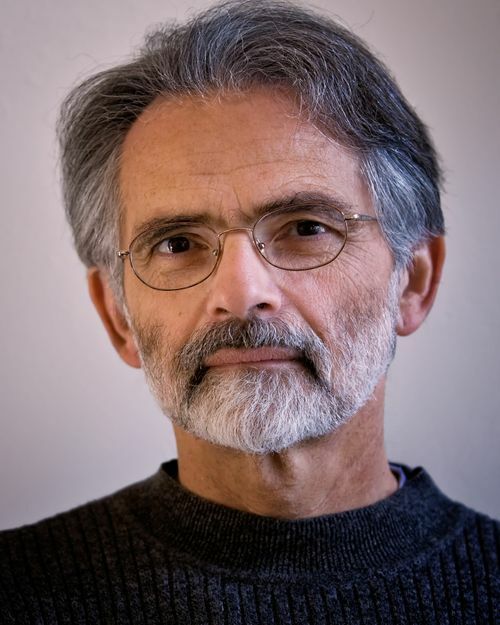 Upon completion of his Ph.D., he began a thirty-five year teaching, research and writing career in the humanities at The University of California, San Diego. Although focused on verbal and performance culture, he incorporated the study of visual culture into his work as a Renaissance scholar and cultural theorist. His widely influential academic writings include two books published by The University of Chicago Press and numerous essays, some of them frequently reprinted and some translated into other languages. Despite a lifelong engagement with the visual arts, he did not take up photography until early in the digital era. Largely self-taught as a photographer, he feels that his abiding interest in the visual arts and architecture helped to shape his sensitivity to issues of composition, form, and tonality in photography. Once kindled, his engagement in making photographs became intense and enduring. Within five years, he had decided to retire from his academic career in order to have more time to pursue his twin desires to travel and to photograph. As a child, his favorite book had been his atlas; he loved to pore over the maps of far away places. He later developed a deep interest in the subject matter of geography, history, and anthropology. But only in recent years has he had the time and resources to travel extensively, and all his travels are planned and conducted to maximize the possibilities for photography. He has worked extensively in south and east Asia, Africa, and Mexico. He strongly believes that to experience the diversity of cultures and landscapes stimulates the mind and the spirit, and provides a multiplicity of contexts in which we can better grasp our own place in the world. Louis works in a number of photographic genres, including street and cityscape, art and architecture, and environmental portrait. But whatever the genre, most of his work is focused on the documentation and interpretation of culture. His photographs have been exhibited in shows in London, Paris, Madrid, Copenhagen, and Buenos Aires as well as in California, Colorado, Ohio, and New York. Four of his portfolios have been published in LensWork (issues 94, 111, 116, 128). His photographs have also been featured in Black & White, COLOR, and other fine art photography publications, as well as in Condé Nast Traveler, Lonely Planet Traveler, Digital Camera, and Art and Design (Beijing). He was named 2010 Professional Photographer of the Year by the World Photography Gala Awards, and 2011 International Travel Photographer of the Year by TPOTY in London.